New research shows that carefully crafted Amazon content holds the key to boosting shopper engagement and sales. A recent study of more than 10,000 shoppers found that “just right” content can increase purchase intent by more than 10 percent. Results of the study, conducted by researchers affiliated with the University of Washington’s Sales and Marketing Strategy Institute in partnership with content26, will appear in the March 2019 issue of the Journal of Marketing. With a more than 80-year history, the Journal of Marketing is published by the American Marketing Association and offers insights into real-world marketing questions. Content26 created a white paper to explain the results of the study and to provide additional context about how the results impact brands that sell on Amazon. “We’re proud to be a part of this study, which resulted in clear, strategic guidelines for creating Amazon content,” said content26 President Mark White. Pinpointing the type of experience customers crave, depending on the products and brands they’re considering. Choosing the design elements that most effectively build the desired experience. 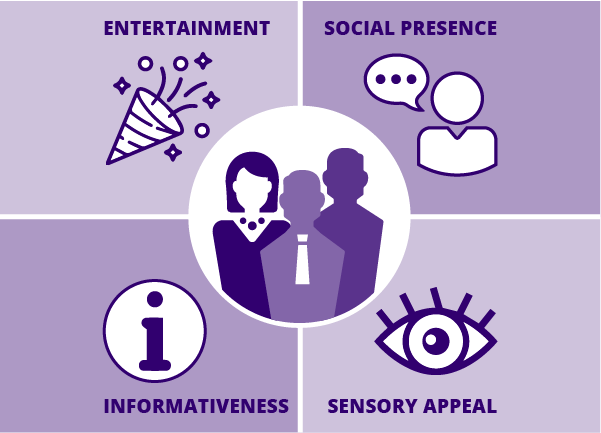 Using a combination of field and lab experiments, the research study investigated four shopping experiences: informative, sensory, entertaining and social. It also looked at 13 design elements, including tone, content length and product imagery. To facilitate this process, content26 created 256 “Amazon look-alike” product pages that were presented to more than 10,000 shoppers. Researchers also tested findings using real products and sales on Amazon.com. The study showed that strong brands (those with high levels of consumer trust) benefit from building informative shopping experiences. Well-known brands can’t afford to skimp on detail, because the more trustworthy a brand, the more consumers are willing to take in information and deem it relevant to their purchase decisions. Upstart brands, on the other hand, should focus on creating entertaining shopping experiences. This can help to mitigate uncertainty customers might feel about their products, as customers who are having fun while shopping are less likely to abandon their carts. In general, the researchers found entertaining experiences to drive purchase intent more than any other aspect. Shopping online presents unique challenges for customers, who cannot touch the products they’re considering. For this reason, marketers group products into two categories: those that can be easily evaluated using information (search products) and those that would benefit from direct physical contact (experience products). The university researchers found that search products sell better on product pages that create an informative experience, while experience products benefit from webpages that create a social experience, evoking a sense of warmth and human interaction. After choosing the type of experience right for their customers, the study provides marketers with a blueprint for strategically assembling product page design elements to evoke these experiences. Study authors found star ratings and large picture sizes to be key elements of all experience types, but they did find some design elements to be particularly suited for specific online experiences. Informative experiences can be built using descriptive detail, a list of five (rather than three) bulleted product attributes, comparison matrixes and recommendation agents. Social experiences are effectively built using a conversational linguistic style and lifestyle pictures. Effective sensory experiences employ product videos and photos that zoom in on a key aspect of a product.